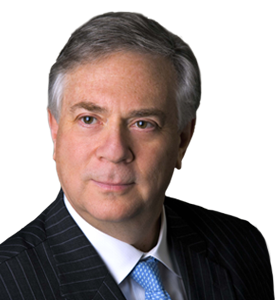 Ira Kaplan, Executive Chair of Benesch, Friedlander, Coplan & Aronoff, LLP, was elected Chair of the Cleveland Leadership Center (CLC) Board of Trustees at the organization’s annual Board meeting on June 28, 2018. Kaplan, an alumnus of the Leadership Cleveland Class of 2003, had been Board Co-Chair for the past year with Larry Oscar, a Partner at Hahn Loeser & Parks LLP. Oscar, an alumnus of the Leadership Cleveland Class of 2009, was elected chair in 2015 and now becomes an Emeritus Trustee. Cathy Belk (LC 2010), President, JumpStart Inc.
Hillary Lyon (CBB 2015), Business Development Manager, CTL Engineering, Inc.
Larry Oscar (LC 2009), Partner, Hahn Loeser & Parks LLP. Kaplan is Benesch’s Executive Chairman and a member of the firm’s Executive Committee. He was Managing Partner from 2008-2014. He focuses his practice on mergers and acquisitions as well as public and private debt and equity financings. Kaplan is an active leader in the community through his work with CLC and top leadership positions he has held with Engage! Cleveland, United Way of Greater Cleveland, Menorah Park Center for Senior Living and Bellefaire JCB. He is an officer of the Mt. Sinai Health Care Foundation, and has served on the boards of the Jewish Federation of Cleveland and Business Volunteers Unlimited.